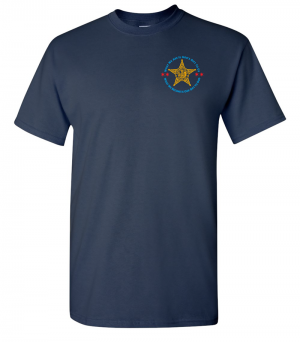 You're proud to support Police Chaplains Ministry...so wear your pride on your chest! These Unisex T-Shirts make everyone look great. Save on shipping. Buy more than one in any size and we'll ship them all together. Excellent quality and a great price! It's a win win. I got a great T-shirt and the proceeds benefit the Police Chaplains Ministry.